Discreet or flamboyant, wall ceramic tiles on their own can create the entire atmosphere of a room. One of the trends is towards textured or patterned ones. 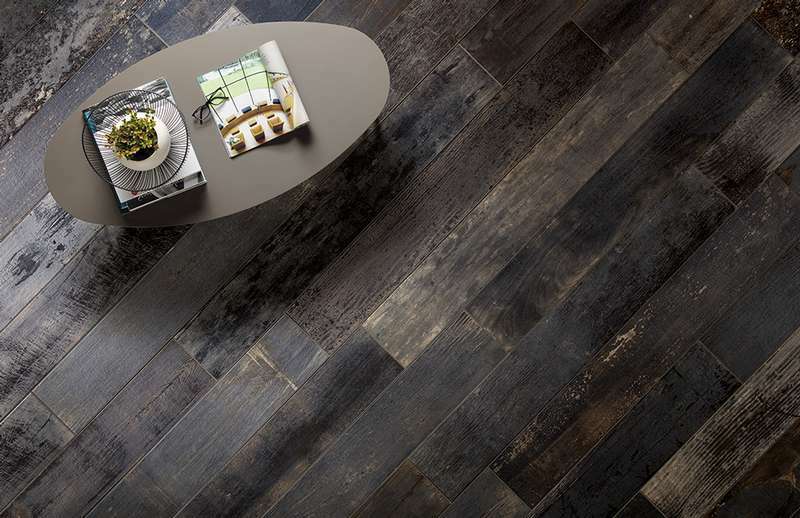 Marco Moretti, consultant for Déco Surfaces, talks about the latest ceramic trends. Let's bet that they become your favorites! While the rectangular shape is still a favourite with designers, we are witnessing a return of square ceramics, which offers a small retro touch. As for dimensions, for several years now, manufacturers have been offering us large formats. And this trend does not seem to be running out of steam: "The modern style is characterized by an expansion in sizes, such as 20 x 40 inch tiles, or even larger. The good thing about this type of ceramic is that it gives the illusion of a larger room," says Marco. But that doesn't mean that medium or small formats are no longer trendy. On the contrary! 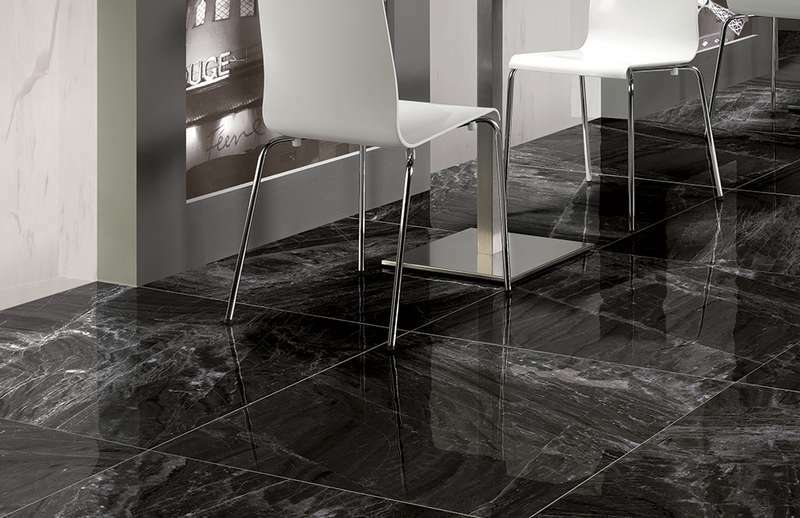 Several companies have started to produce tiles with more traditional dimensions. 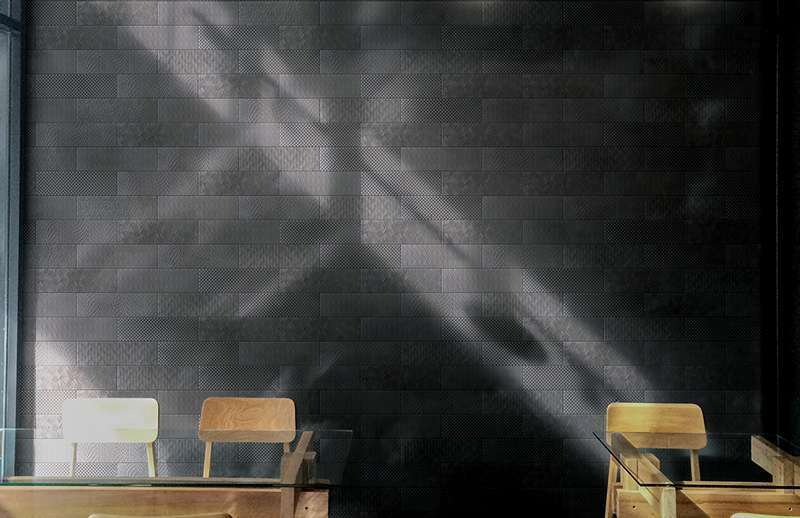 Far from being ordinary, these ceramic tiles stand out in another way than by their size, especially by their texture. 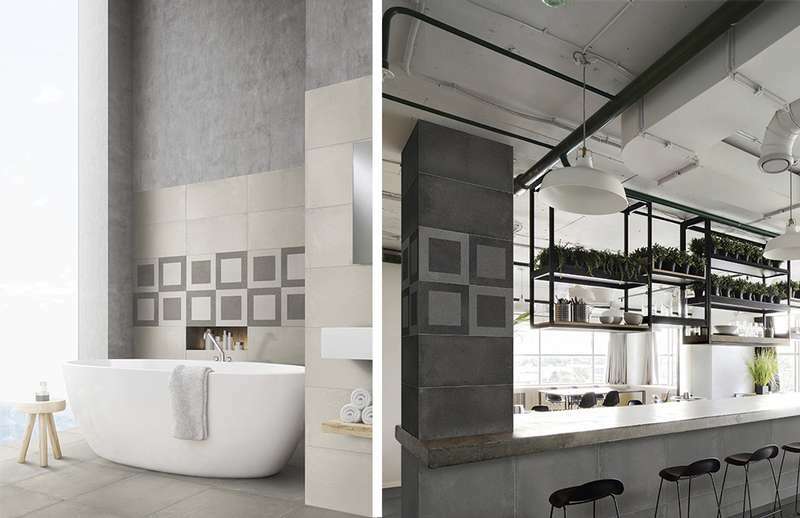 If the choice of size and colour of a ceramic tile is an important factor in creating an atmosphere, so is its texture. More and more, manufacturers are creating products with patterns and reliefs. Sometimes barely noticeable to the naked eye, sometimes more obvious. Complete walls can be covered with this new type of textured ceramic tiles: it can have the appearance of a wallpaper, or even a piece of fabric. Amazing! 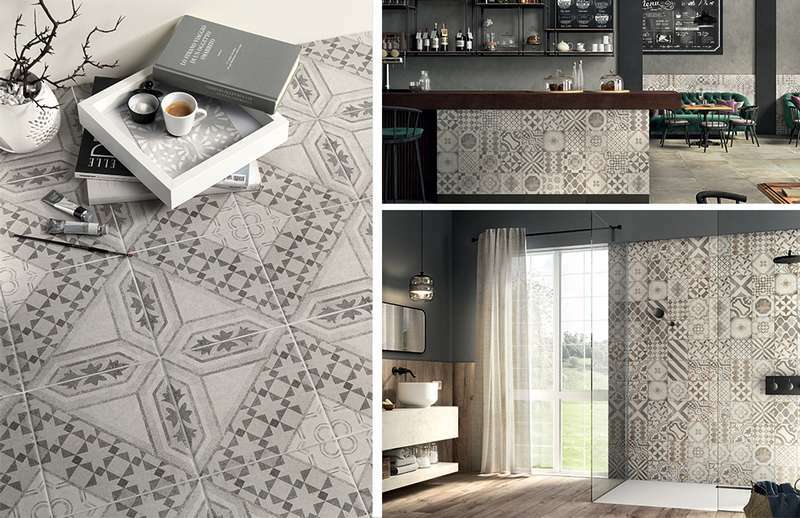 One of the most spectacular ceramic tiles of the moment is the patchwork style. Sometimes in black and white or greige and grey for a classic and sophisticated look, sometimes in shades of greige and cream for a more rustic look. In any case, the effect is very artistic. It's like having a work of art in your room: "But you have to be careful to dose it right. Covering the four walls with these ceramic tiles would be a mistake and would spoil its effect." This style of ceramic tiles is in line with the trend to make the decorations more dynamic by combining styles. Monochrome style has long been the dominant feature in the design world. "Greys, blacks and whites have been very popular in recent years, and they still are. 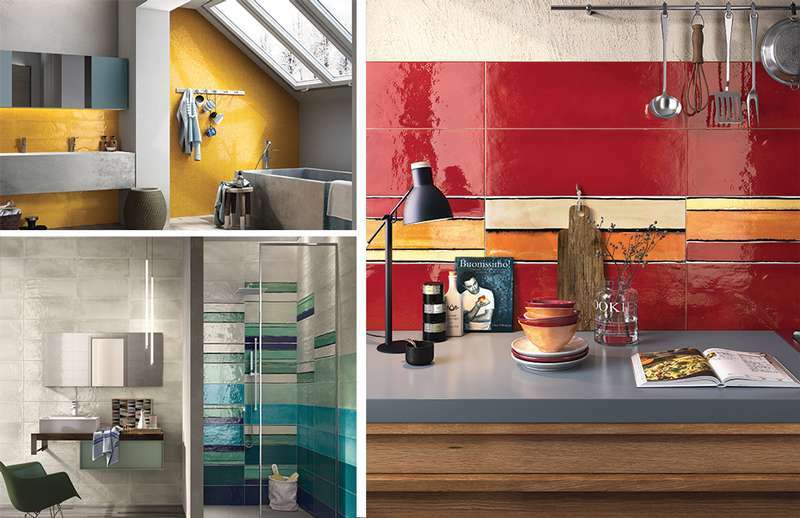 On the other hand, incorporating glossy coloured ceramic tiles adds a lot of sparkle and makes it possible to stand out,” explains Marco. They are also a hit in the décor. Once again, their texture is not without interest: embossing the enamel can make the tile even more attractive. It should be noted that glossy tiles are more often seen in bathrooms. "But you shouldn't be afraid to put it elsewhere, like on a kitchen backsplash," reminds us Mr. Moretti. Have you heard of the burned effect? 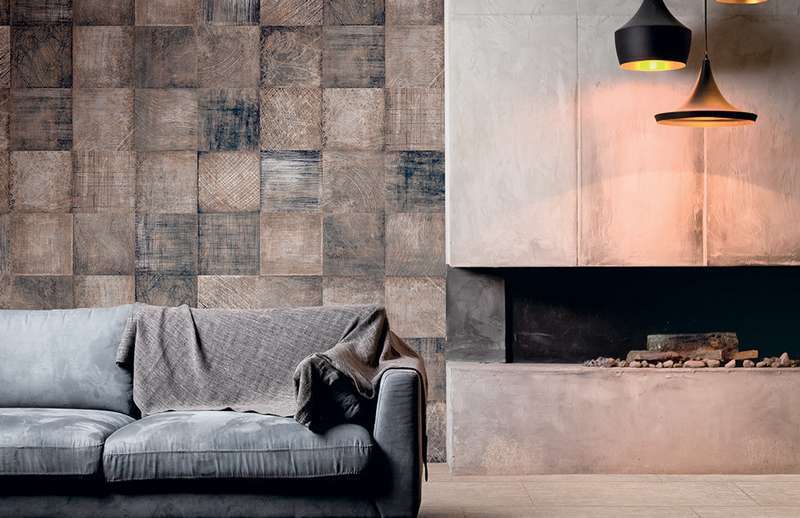 To create a decor that is both rustic and rich, there is nothing better than roasted ceramic tiles (i.e., with a burnt appearance). This product integrates in a context of modern decoration, but also suits the retro and rustic style. The important thing is to match the other decorative elements (accessories, painting, furniture ...) in order to steer your decor towards the desired look and feel.